Question: What do veterans, women, law school graduates, Latinos, college graduates, young people, middle-aged people, older people, European Americans, members of the LGBT community and African Americans all have in common? Answer: All have been the subject of recent media or research coverage citing that their group is experiencing an unemployment crisis. How can it be that virtually all Americans, including educated white men, can readily classify themselves as part of a community or group that finds job search especially challenging? If there is no segment of American society that has not been the subject of a journalistic piece decrying how that particular group has it harder than other groups when it comes to getting jobs, how useful is the distinction? The hard truth is that job search and career transition is challenging for everyone. It is human nature to blame circumstances out of our control for our condition. The incessant drumbeat of superficial media desperate to fill a 24-hour news cycle will default to “veterans as victims” clichés. This may have resonated in the Seventies when an alienated and unpopular draft military returned to civilian life. But that was two generations ago; an eternity in today’s fast paced economy. The successful veteran job seeker will resist blaming group identity for poor job search results at nearly all costs. Positive mental attitude is the foundation of any efficacious job search and blaming others for one’s fate is the polar opposite of that approach. Like most achievements in life, career success is a function of hard work, talent, focus, self and market knowledge and luck. Group identity is low on the list of factors that matter. That said, bias in the marketplace is real. 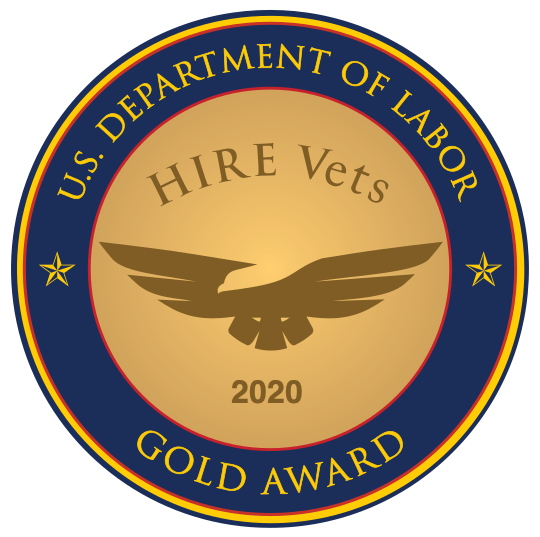 Veterans will encounter recruiters and hiring managers who are reflexively hostile or indifferent to veterans on political, moral or cultural grounds. Likewise, there is widespread ignorance regarding the nature and prevalence of conditions like Post Traumatic Stress and Traumatic Brain Injury. Yet most of these attitudinal barriers can be overcome with patient and persuasive interpersonal communication and education. In the instance where one encounters the small minority who simply refuse to consider a veteran candidate, it is better to move on to other opportunities. Any organization or individual that is so ill-informed as to not recognize the value of a veteran’s experience and talent is not worthy to benefit from his or her future service anyway. Furthermore, bias can be profoundly positive as well as negative. When one thinks back to 2008, it was easy for the media to find some toothless bigot to say that he would not consider voting for Barrack Obama because of his race. And yet, many voters of all persuasions chose his candidacy primarily because of his race. In other words, what was a negative for some was a compellingly positive characteristic for others. So it is with veteran status. The aggressive veteran job seeker will likely find many more employers positively inclined towards veterans than against. Psychologists speak of a concept called agency. It is the belief that people can affect their own environments and destiny. Those who possess a strong sense of agency experience the job search process as a series of challenges that can and will be overcome through hard work and talent. People who lack agency communicate in the passive voice as the world happens to them rather than the other way around. The good news is that veterans are indeed in high demand. Veteran unemployment is at record lows. Because of their service and quality, veterans have access to an expansive network of civilians who are only too pleased to offer information, advice and access to those who ask for it. When you hear the inner voice of doubt dragging down your job search, return to basics. Do you know what you are good at? Do you know what you want to do? Do you know the right people to provide the information and access to others to be successful? In most cases, ineffective job seekers have not done the work necessary to be successful in their career search. It is never productive to dwell on the negative messages associated with group identity. If you are a US military veteran, you are better than that. Keep working hard and smart; you are closer than you may realize to the career you seek.